The outbreak of Ebola in the United States seems to be unlikely, but establishing guidelines for exposure of Ebola is essential. Cal/OSHA has partnered up with other public health agencies to improve guidelines for preventing exposure to Ebola. According to federal officials, there are certain professionals that pose risk of exposure. These professions include health care workers, emergency responders, laboratory staff, mortuary workers, airline flight crews and airport staff, and quarantine operations staff. The Department of Industrial Relations and Cal/OSHA are working together with the California Department of Public Health to issue provisional guidelines for employees and employers in these occupations. In 2009, California adopted a regulation that aims to educate about infectious diseases such as Ebola, which can be transmitted through small liquid drops that come in contact with mucous membranes. The name of the regulation is Aerosol Transmissible Diseases Standard, which helped inform about guidelines released. Ebola is transmitted through direct contact with body fluids of an infected person or object that has been contaminated. Ensure that workers at risk of Ebola exposure wear gloves, impermeable body coverings, face shields, or other eye and face protection, and appropriate respiratory protection. All personal protective equipment (PPE) must be sufficient enough to protect against the passage of bodily fluids to the employee’s clothing and skin. NIOSH-approved respirators are to be utilized at the presence of infectious aerosols. 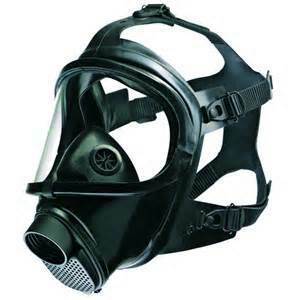 Train employees to use the applicable protective equipment appropriately including the usage of respirators. Employees must be trained to safely put on and take off equipment. Give employees time to practice with the protective gear and respirators. Provide a secluded area where employees can put on protective gear and take off protective gear. Establish a buddy system in putting on and taking off PPE. The employee that assists must be wearing PPE. Provide protective gear such as double gloves, disposable shoe and leg coverings, when an employee will be in contact with great amounts of blood, vomit, feces or other bodily fluids. Ensure that workers performing aerosol-generating procedures such as intubation or bronchoscopy perform procedures in an airborne isolation room if possible, or in a private room with a closed door. Employees exposed to these circumstances must wear NIOSH-approved respirators. This entry was posted in Uncategorized and tagged CAL/OSHA, California, California Department of Public Health, California employees, California employers, california's workers compensation, ebola, health care workers, niosh, personal protective equipment, provisional guidelines, The Department of Industrial Relations. Bookmark the permalink.